Extend the life of your abrasives and files. 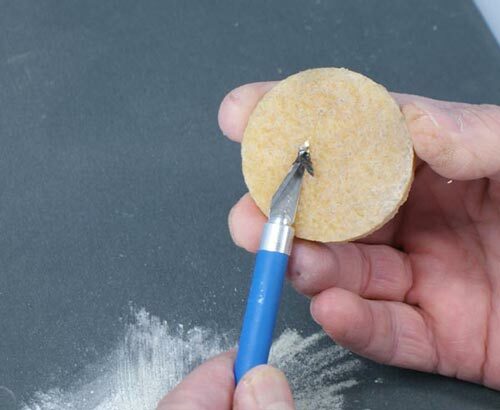 This product is ideal for cleaning out clogged sanding stixs, x-acto knives, tools, hobby files and hobby sheets, contributing to longer lasting and more effective abrasives. 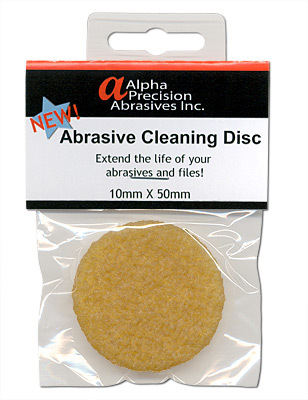 The Abrasive Cleaning Disc can remove resin, metal, wood, plastic, and other medium residue from your abrasives. 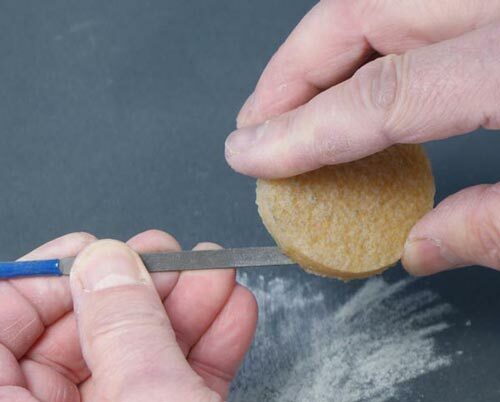 Rub off excess materials without damaging or dulling the coating of your abrasive tools and save money by prolonging the life of you modeling tools. Size: 2” diameter, 1/4” thick.